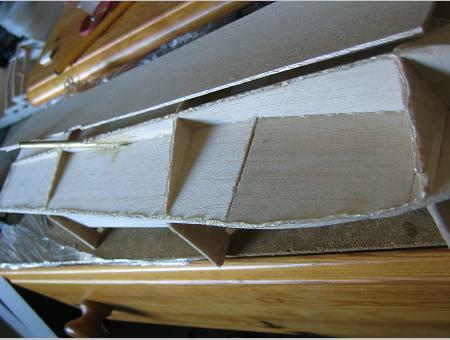 All old EeZeBilders will remember this stage.. 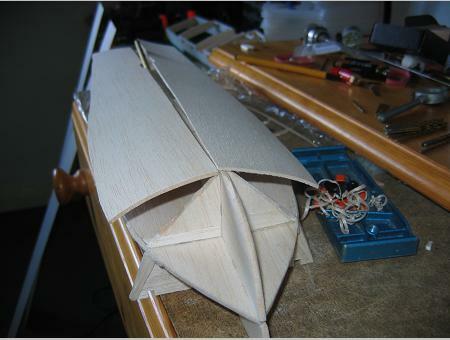 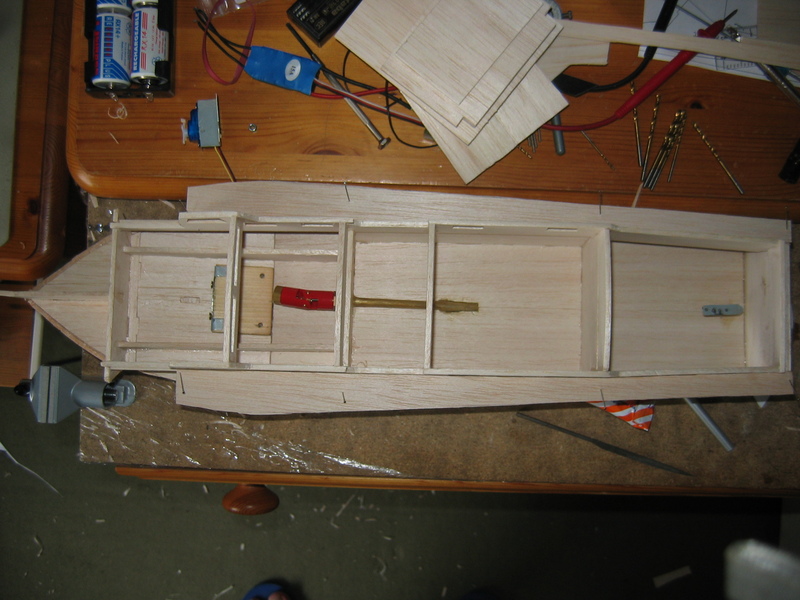 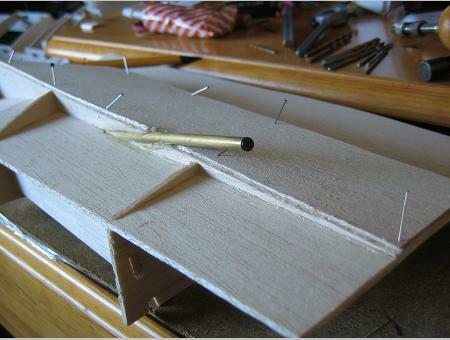 While the superstructure is off you can place the rudder and servos. 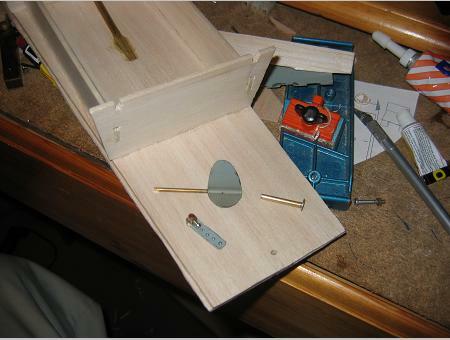 Here is a 'quick and dirty' rudder made from tinplate, a brass tube and the brass electric wire connector from a plug. 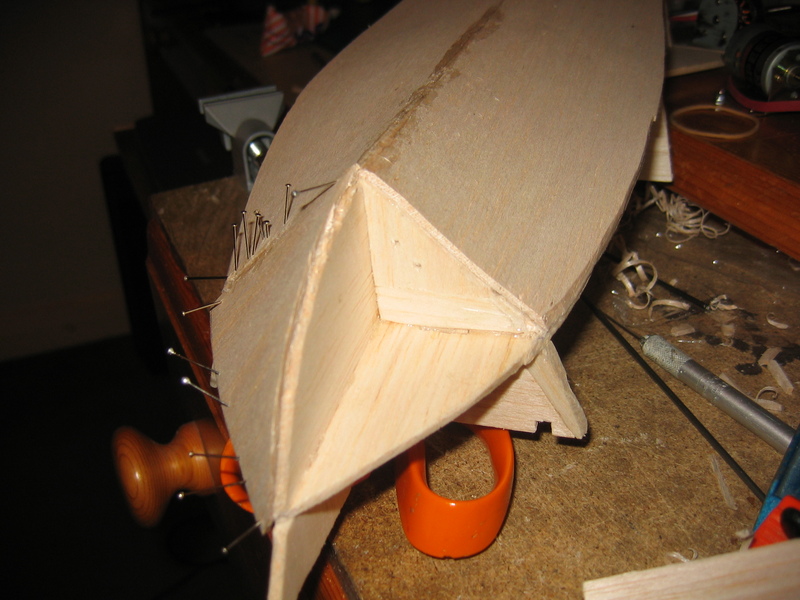 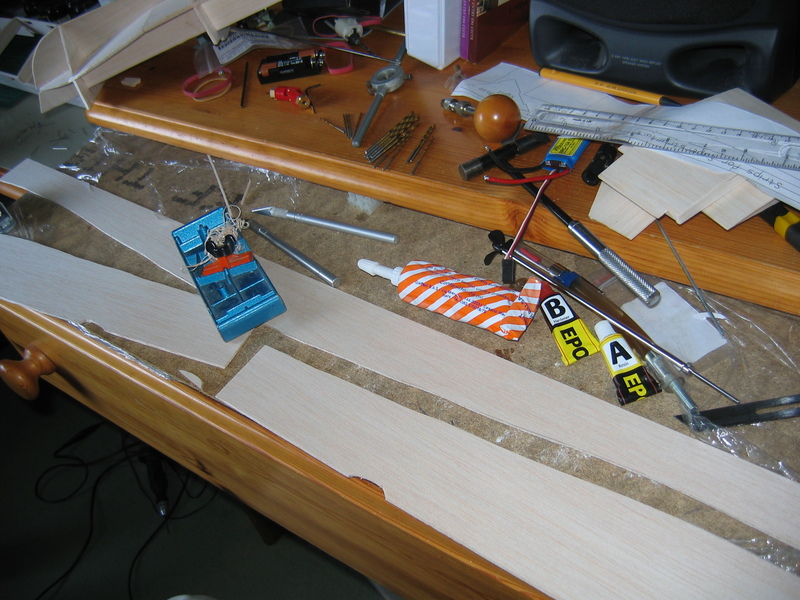 Well, what other shape should an EeZeBilt rudder be? 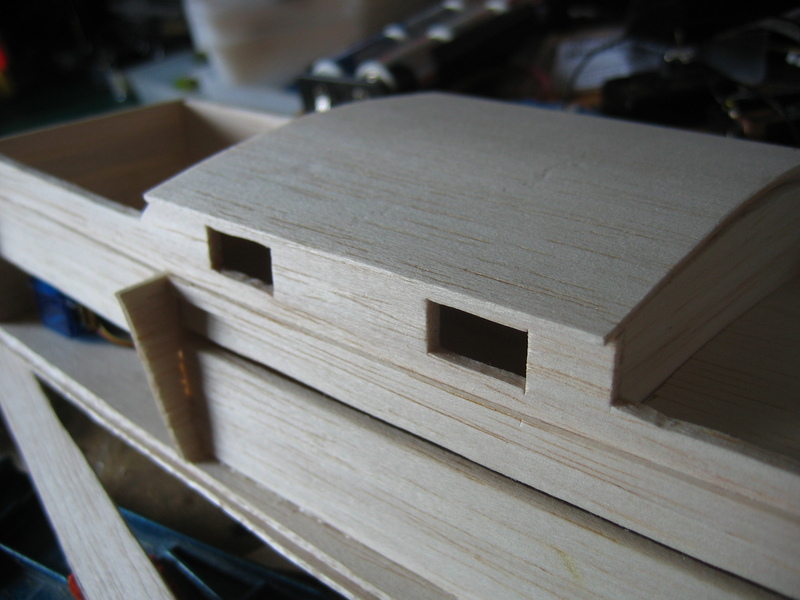 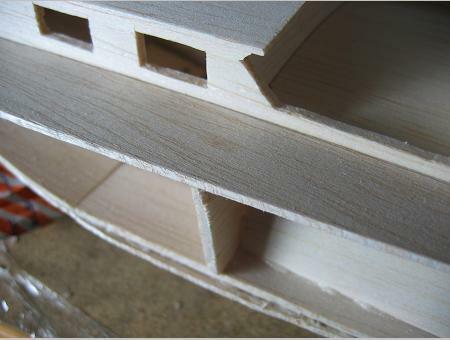 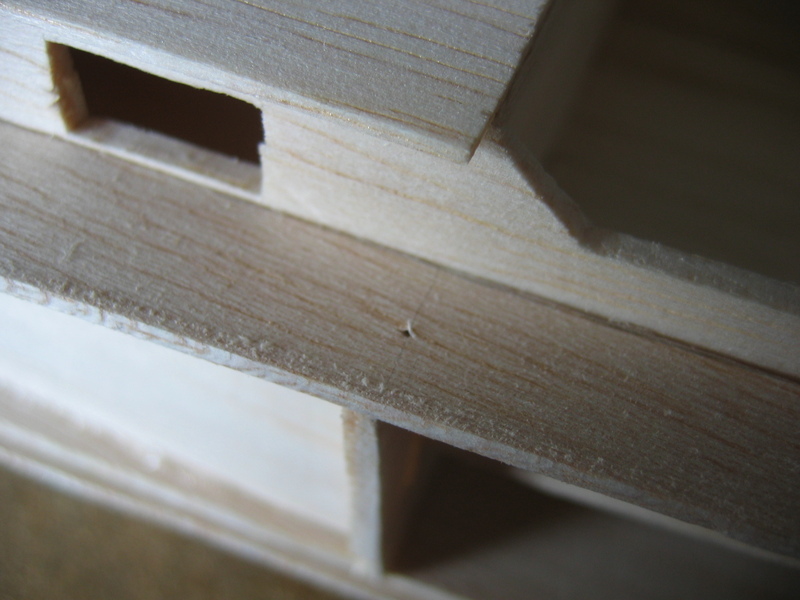 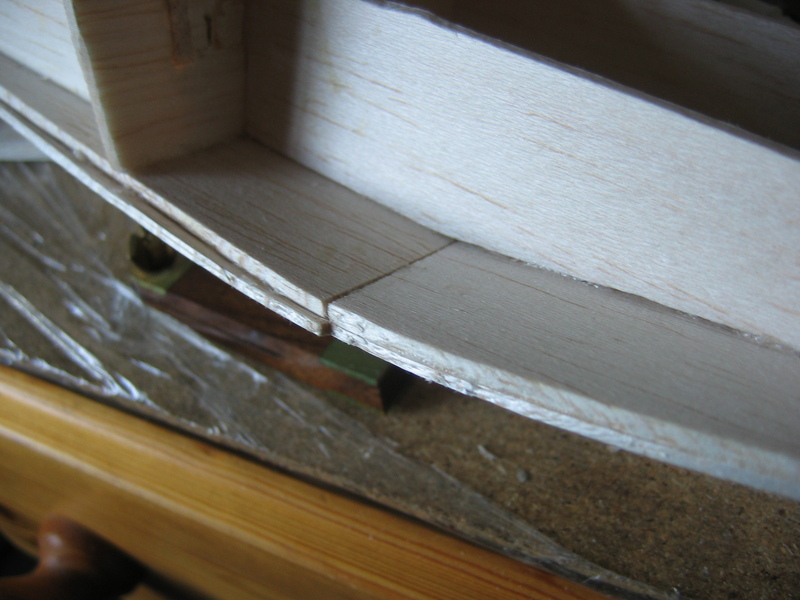 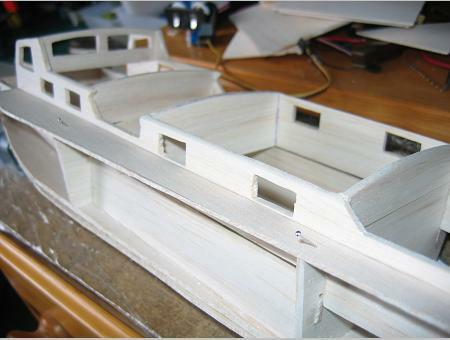 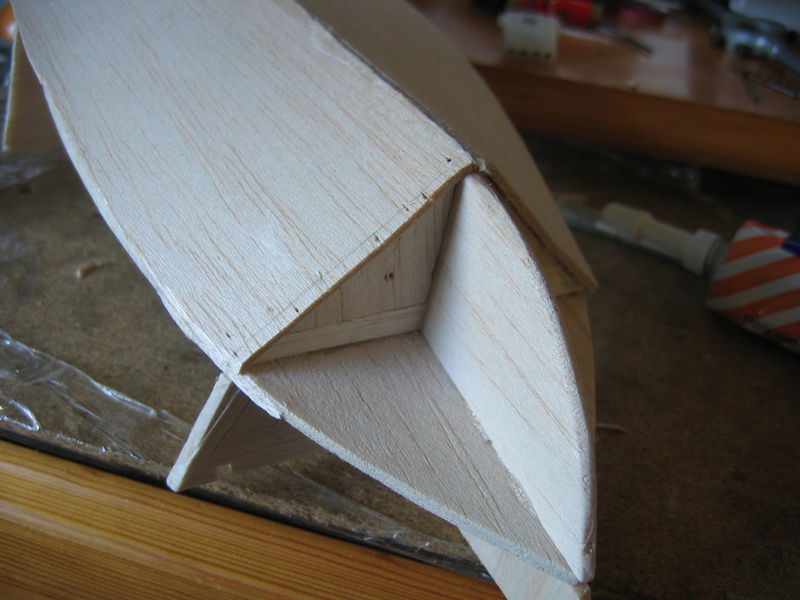 Now the superstructure can be glued in, and I put a thin strip of 1/16" along the side to support the deck pieces.